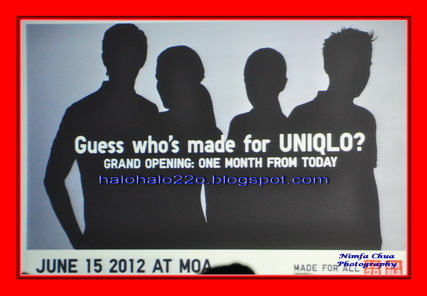 May 16, 2012, Makati City, Philippines— UNIQLO reveals the Filipino faces to exemplify its MADE FOR ALL Philosophy. Chief Operating Officer, Fast Retailing Philippines Inc.
UNIQLO, the global apparel brand from Japan announces the complete Cast of highly admired Filipino personalities to embody its MADE FOR ALL Philosophy. MADE FOR ALL is the UNIQLO brand philosophy that captures the company‟s vision of providing casual clothing that is made for all people regardless of age, gender, ethnicity or any other ways that define an individual. 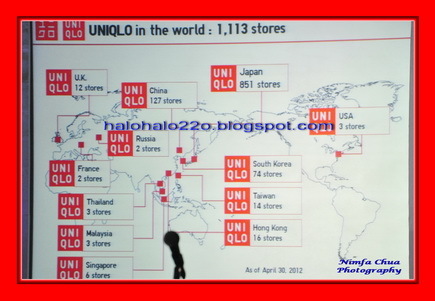 The “UNIQLO Cast” plays a vital role in creating a bridge between the UNIQLO brand and the heart of every Filipino. 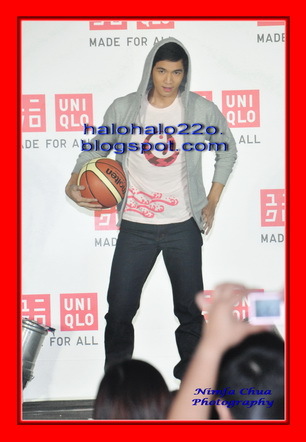 Chris Tiu, Iza Calzado, Chito Miranda and Nikki Gil are the faces of UNIQLO in the Philippines. 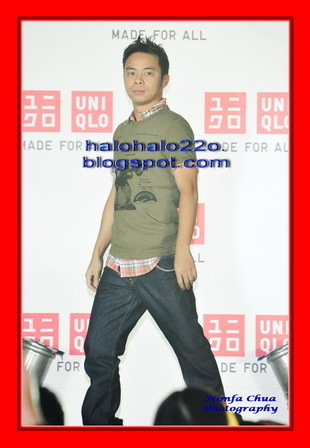 UNIQLO believes that the Filipino Cast members exemplify the MADE FOR ALL philosophy in their own daily lives. Each cast personifies different characters – sporty, fun, witty, serious, spontaneous -- bringing out their own individualities. Despite these differences, they find a piece in UNIQLO that suits their distinct preference. Through Chris, Iza, Chito and Nikki, UNIQLO trusts that Filipinos will identify themselves in every product offering that the brand is set to bring to the Philippines. “We are happy that the UNIQLO Cast is finally revealed. We believe that they will be able to communicate UNIQLO‟s brand message and philosophy—„MADE FOR ALL‟—with such zeal and passion, our objective is to let Filipinos know that UNIQLO has clothes for every individual – no matter who they are, what they love or where they are from.. As we say in the company, there is a UNIQLO for everyone,” explains Katsumi Kubota, Chief Operating Officer of Fast Retailing Philippines, during the sidelights of the UNIQLO Cast Party. 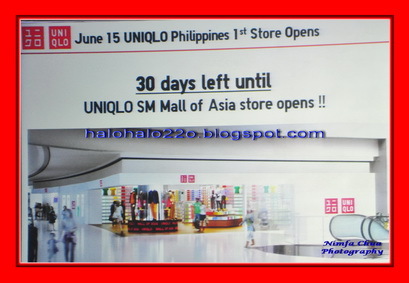 The announcement of the four members of the “UNIQLO Cast” serves as a showcase of UNIQLO‟s preparations leading up to the opening of the very first UNIQLO store in the Philippines this coming June 15, 2012, at the 2nd floor of the Main Building, SM Mall of Asia in Pasay City. Chris, Iza, Chito and Nikki will be seen in the upcoming advertisements of UNIQLO in the Philippines. 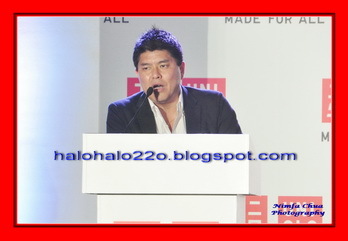 UNIQLO Cast revealed—UNIQLO, the leading clothing brand in Japan, introduced recently its brand ambassadors in the Philippines they call the “UNIQLO Cast” via a glittering event held in Makati City recently. These personalities each embody different characters—sporty, fun, witty, serious, spontaneous—and will serve as the bridge between UNIQLO and the Filipinos in communicating the “MADE FOR ALL” philosophy of UNIQLO. Shown in photo are (from left) Chris Tiu, Nikki Gil, Katsumi Kubota, Chief Operating Officer of Fast Retailing Philippines, Iza Calzado and Chito Miranda. MAY 16, 2012 "MEDIA LAUNCH"
Red Bull first launch party in the Philippines.